The 4th Global Feed and Food Congress organized by the International Feed Industry Federation (IFIF) with technical support by the Food and Agriculture Organization of the United Nations (FAO), and hosted by the Animal Feed Manufacturers Association of South Africa (AFMA) was held in Sun City, South Africa, from 10-12 April 2013. Mario Sergio Cutait, IFIF Chairman and Loutjie Dunn, Chairman of the Animal Feed Manufacturers Association of South Africa (AFMA), were joined by the honorable Prof Hlengiwe Buhle Mkhize, Deputy Minister of Economic Development of the Republic of South Africa, Dr. Berhe G. Tekola, Director of the Animal Production and Health Division at the FAO and Dr. Hinner Koster, AFMA Board Member, to open the Congress and welcome 700 international delegates representing the global feed and food chain. The 4th GFFC brought together 700 international delegates from 44 countries who discussed critical issues covering the whole feed manufacturing and food processing value chain, with a special focus on Feed and Food Safety, Food Security, Technology, and Sustainability. The final Congress programme is available here. The Congress attracted exceptional speakers who provided their insights and expertise in over 80 world-class presentations. The presentations made at the 4th GFFC and the AFMA Forum can be downloaded here. The Southern African Feed Manufacturers’ Association (SAFMA) was officially launched following an agreement at the 4th Global Feed & Food Congress in Sun City, South Africa, under the auspices of representatives from IFIF and the FAO. SAFMA brings together representatives from South Africa, Zimbabwe, Botswana, Mozambique, Namibia, Zambia and Mauritius as part of a regional feed manufacturers association that will have as their vision the harmonisation of the feed industry in the region in order to further ‘safe feed for safe food’. 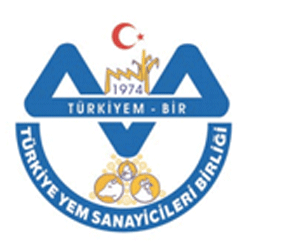 SAFMA as a regional feed manufacturers’ body will play a role in the harmonisation of legislation and regulations in the region in order to enhance effective trade between member countries as well as creating a self-regulating regional industry with the same vision, namely safe feed for safe food. For more information about the 4th GFFC please visit www.gffc2013.com. The 3rd Global Feed & Food Congress was held in Cancún, Mexico in April 2010. The Congress was organized by IFIF with technical support from the Food and Agriculture Organization of the United Nations (FAO) and was hosted by the Mexican Feed Industry Association (CONAFAB). 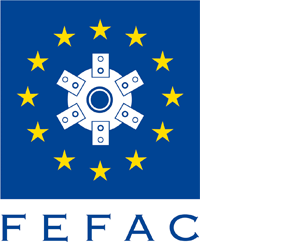 The Food Chain – “From Farm to Fork” – was the main theme discussed during the Congress. The 3rd GFFC event brought together 350 delegates from around the globe to discuss topics concerning the whole food production chain and in particular all the different links within the food chain. The 2nd Global Feed & Food Congress was held in São Paulo, Brazil during April 2007. 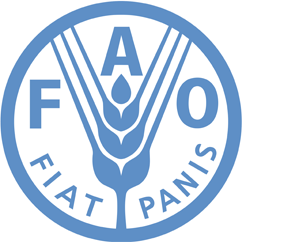 IFIF with technical support from the Food and Agriculture Organization of the United Nations (FAO) organized the Congress, which was hosted by the Brazilian Feed Industries Association (SINDIRAÇÕES). “Sustainability – producing for the well-being of all with quality, safety, responsibility and protecting the environment” – was the main theme developed during the Congress. The 2nd GFFC brought together experts and leaders from around the world to discuss relevant topics concerning the food production chain. The Congress and also enabled the founding of the Latin American and Caribbean Feed Industry Association (FEEDLATINA). The main theme debated at the Congress was “how is it possible to produce food while respecting the environment and also guaranteeing safety and the well-being of global population?” During three days, 500 delegates from more than 40 countries came together to discuss this main topic during 74 lectures. Planning of the establishment of FEEDLATINA. The 2nd GFFC also enabled the founding of the Latin American and Caribbean Feed Industry Association (FEEDLATINA). Representatives from the Food and Agriculture Organization of the United Nations (FAO) and from the feed & food industries from Brazil, Argentina, Chile, Colombia, Mexico, Peru and Uruguay gathered to define the creation of the Latin American and Caribbean Feed Industry Association (FEEDLATINA). This organization now acts as the voice of the industry in the region and its main goal is to align the interests between each of their federal governments and the international community of this important sector. The 1st Global Feed & Food Congress was held in July 2005, in São Paulo, Brazil. 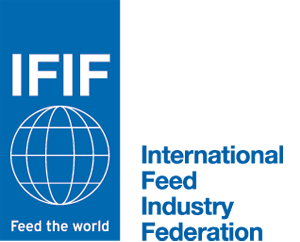 IFIF with technical support from the Food and Agriculture Organization of the United Nations (FAO) organized the Congress, which was hosted by the Brazilian Feed Industries Association (SINDIRAÇÕES). Brazil was chosen to host the first edition of the Congress for being considered the “future world grain supplier”. Over three days participants and speakers from all over the world joined discussions on important aspects of the future of the food production chain. Representatives from China, United States of America, India, Germany, Ireland, England, Brazil, along with other 43 countries, attended the Congress, each of them contributing to this important debate and making the 1st GFFC a resounding success. The response from the participants could not have been better, with people from 130 countries and 400 Brazilians from different sectors of the productive food chain, government to private companies attending. The interest was evident by the eagerness of the audience, by their determination to see all the panels and by the initiative of finding speakers after each lecture or presentation to continue discussions about the subject presented. “The Congress was a first step on a way to more practical solutions. With the production of safe foods and the use of Good Manufacturing Practices, we will diminish waste, improve the quality and the price of food, create more jobs and increase both internal and external market demands. We managed to have a very good glimpse of our prospects for the sector. We presented ourselves as entrepreneurs and as holders of a good technology. The positive response from the participants and from the press confirmed the success of the event.